Enjoy your freedom in Sherri Hill 52032. This vibrant halter gown features a colorful array of dazzling jewels. The halter bodice has a plunging neckline, covered racerback with zipper closure, and an open lower back, which creates a two-piece illusion from behind. The jeweled fitted skirt highlights your gorgeous legs with a side slit, and shimmering sweep train. 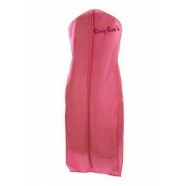 Celebrate in this gown at a birthday celebration, prom, or pageant.